We reap the benefits of a collaborative culture. We bring outstanding businesses together in a unique office arrangement designed to offer the best possible services to our clients. Explore how you can become part of our synergistic process. Our Edina executive suites offer a collaborative work environment and many perks to make your work more efficient. 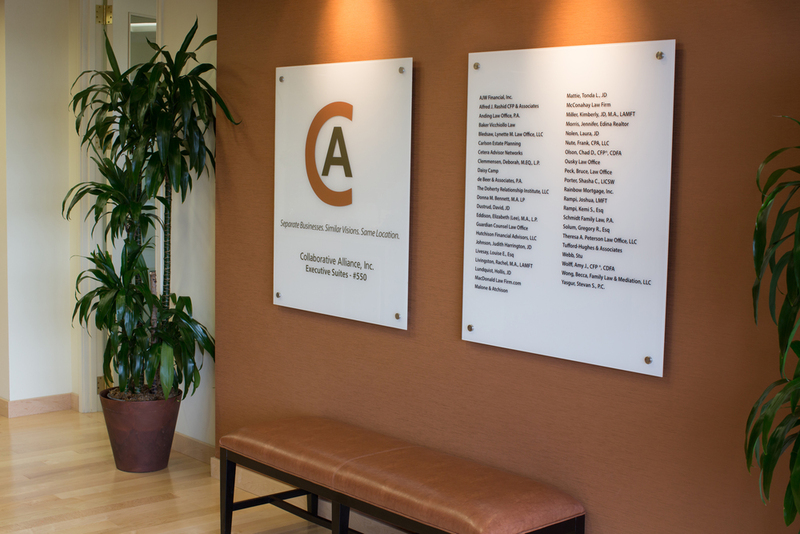 Discover more than 50 independent attorneys, financial planners, mental health practitioners and other client-centered professionals located all in one convenient space.